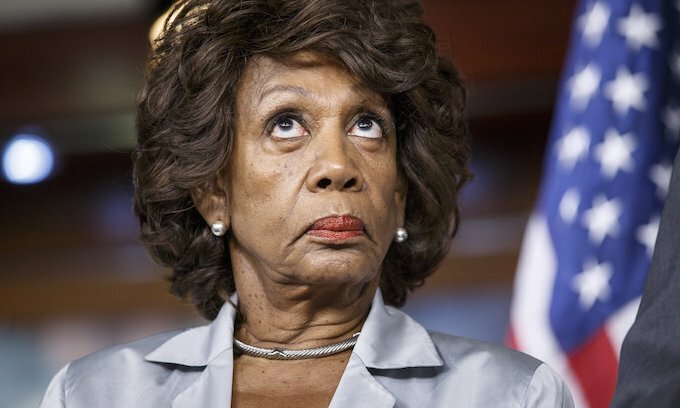 In the video below, CNBC's John Harwood reports on the "courtesy call" meeting last Friday between Congresswoman Maxine Waters, who is now chair of the House Financial Sevices Committee, and J.P. Morgan Chase CEO Jamie Dimon and Goldman Sachs CEO David Solomon. I'm sure Waters is enjoying this and thanking the heavens. Watch her corporate donations from banks climb. This babe knows how to work the crony corporate-government system. It will cost J.P. Morgan Chase and Goldman, but Dimon and Solomon will be willing to pay up to keep this crazy lefty off their backs. And from Waters' perspective, in the video below, she says her door is open to anyone, I'll bet it is. Anyone with a checkbook in hand.